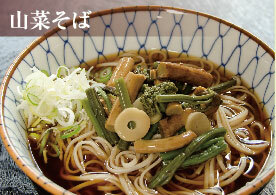 Jindaiji’s famous soba is offered two ways: hot or cold. Hot soba is served with the noodles in a soy sauce-based broth. 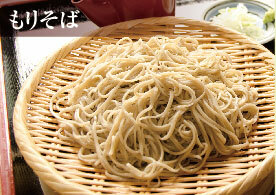 Cold soba is eaten by dipping the cold noodles into a separate dipping sauce. 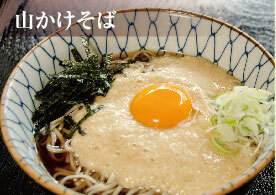 When enjoying cold soba, a small bit of the broth used to boil the noodles is brought out at the end of the meal. Pour your dipping sauce into this to make a thin soup that combines the delicious taste of soba with its nutritional benefits. A cold soba dish. Usually, a cold sauce is poured over the noodles. On top of this is then served grated daikon radish. This is considered one of the preferred ways to enjoy soba. Some shops offer the sauce in a separate dish and allow you to mix the grated radish in. Offered as a hot and cold dish (pictured is a hot dish). When cooking tempura, thin wheat flour is blended with eggs and water to create a batter that is used to coat the food. After frying it, small clusters of batter, or “agedama,” are produced. These are served on top of the noodles. 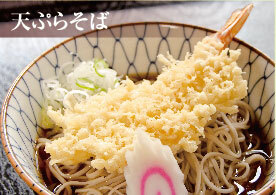 Fried food goes great with noodle dishes, so tanuki soba is a recurring favorite. This soba is served hot. “Sansai” refers to wild edible vegetables like bracken and fern. These are boiled and then served with broth and noodles on top. A dish served hot. 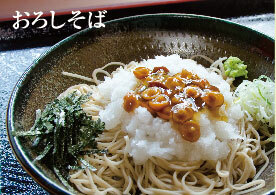 Japanese and Chinese yam, close relatives to the potato, are grated on top of the noodles and broth. The cold version of this dish is called “tororo soba.” The taste of yams pairs very well with soba, stimulating the appetite. 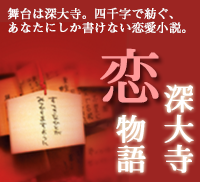 Copyright ©NPO法人調布市地域情報化コンソーシアム（ちょうふどっとこむ） All Rights Reserved.